Je me mets en route aujourd’hui pour la conférence annuelle du Urban History Group, qui se tient cette année à la Keele University. Le thème de la conférence est « Healthy or Unhealthy Cities? Urban environments, cultures and economies of public and private health, 1600 to the present » et j’y présenterai une communication intitulée « Looking for local political relevance in the age of the welfare state: the Union des municipalités du Québec, public health and municipal autonomy (1945-1957) ». Ce sera ma troisième participation à ces conférences annuelles qui rassemblent généralement une belle brochette de chercheurs en histoire urbaine de Grande-Bretagne et d’ailleurs. Ce sera l’occasion pour moi de présenter le résultat de mes recherches actuelles sur l’histoire de l’UMQ, et notamment sur sa contribution à la commission Tremblay. This paper aims to explore local governments’ struggle to maintain a significant role in social questions, like public health, during the rise of the federal welfare state. During the interwar period, Canadian municipalities still enjoyed relative political autonomy, but had great difficulty significantly improving the urban environment and the general health of their population. With the Great Depression, the situation only worsened and the Canadian government created the Rowell-Sirois commission to investigate ways of redistributing responsibilities between levels of government to address a variety of issues, including social services and public health. The commission’s report is considered to have paved the way to the construction of the Canadian welfare state. However, health and social affairs – as well as the municipalities themselves – were provincial responsibilities and, in the 1960s and 1970s, Canadian provinces progressively took over local public health programs from the municipalities and private agencies that had overseen them in the past. In this paper, I want to explore the attempts made by municipalities to prevent this major erosion of their political autonomy and stay relevant as a level of government in questions related to public health and social services. To do so, I’ll present the case of Quebec’s provincial municipal association – the Union des municipalités de la province de Québec – and its efforts to defend its members’ role in this field. 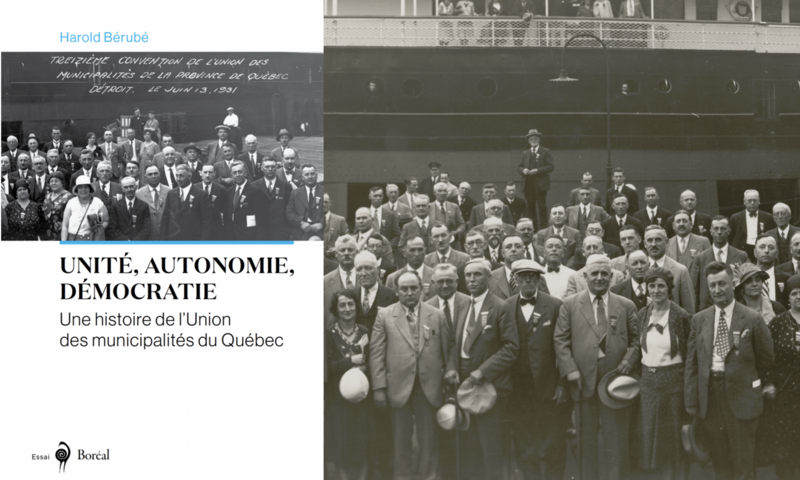 These efforts culminated in the production of an ambitious memoir submitted to a provincial commission of inquiry into the division of powers between levels of government (Tremblay Commission, 1953-56). In this context, I’ll offer an analysis of the evolving strategies used by the organization and measure its degree of success in a political environment where, more and more, the municipalities are considered as incompetent in affairs of health and social services.